The BlockGatorsArmy.info website (referred to as the "Site") is a service provided by BlockGatorsArmy.info, subject to your compliance with the terms and conditions set forth below. PLEASE READ THIS DOCUMENT CAREFULLY BEFORE ACCESSING OR USING THE SITE. BY ACCESSING OR USING THE SITE, YOU AGREE TO BE BOUND BY THE TERMS AND CONDITIONS SET FORTH BELOW. BlockGatorsArmy.info MAY MODIFY THIS AGREEMENT AT ANY TIME, AND SUCH MODIFICATIONS SHALL BE EFFECTIVE IMMEDIATELY UPON POSTING OF THE MODIFIED AGREEMENT ON THE SITE. In order to be fair to our advertisers and to ensure quality communication with @blockgatorsarmy, YOU MUST BE ABLE TO READ, WRITE, AND UNDERSTAND ENGLISH. Purchases which have been properly credited to your account are non-refundable. There is no guarantee on Referral activity - purchased or referred. All accounts will be reviewed BEFORE payout is processed. All issues should be attempted to be resolved with @blockgatorsarmy before going elsewhere to voice your complaints or issues (such as forums, blogs, WordPress, Steemit etc.). Accounts are checked regularly for multiple IP's and other violations. This is a PTC site. We happen to offer PTR, PTSU, etc., as an extra way to earn. You are paid to view ads from other advertisers and encouraged to PLACE ads in order to earn. You may only have one account with your IP address. Attempting to create multiple accounts will result in deletion of all accounts. You are responsible for securing your password. Your password is stored in our database and encrypted. If your account is found to be hacked, we are not held responsible. You may request your password via email if you have lost it. BlockGatorsArmy.info accounts are non-transferable. The amount of referrals you can have is based on your membership. BlockGators Army is not responsible if you lose referrals due to deletion of your referrals for inactivity, deletion for cheat check fails, or any other violations of Terms. There is currently no return policy for inactive referrals. A referral will not be able to see nor change who has referred them. BlockGators Army will work diligently to provide ACTIVE referrals when available. If you attempt to hack our system in any way, we will know about it and track it down. If you activate your flood guard on our site, we will know about it, track you down and delete your account. We will not email you once we have deleted/banned your account. If you email us asking us why we have deleted/banned you, we will give you an explanation. If you have failed the cheat check in an excess of 20 times total, your account will be suspended and all payout requests removed and all earnings deleted. If you click a bot check link, this link will automatically delete all earnings in your account and bring your account balance back to $0.00. Admin has no way of recovering these monies; therefore it defeats the purpose of members asking for their balance to be returned to said account. Further action such as deletion of the account in question will most likely occur, ending the relationship between Member and Site. With our tough anti-cheat system, it is extremely difficult to cheat. If someone is caught cheating or simply ATTEMPTING to cheat, we have the right to forfeit all earnings and possibly even ban the user from our network. Use of Proxy Server, Authorized Proxy Server, Network Sharing Device, Suspected Network Sharing Device, or Corporate IP. Not providing real Steemit username. Inserting the wrong country or not inserting any country. 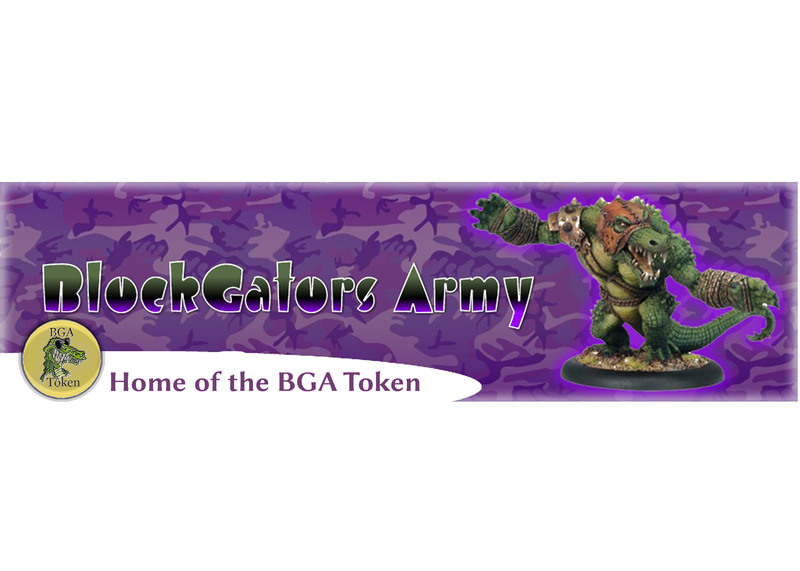 All payments are made via “the @blockgatorsarmy wallet” on Steemit there are no other payment methods being used at this time. If you pay through “the @blockgatorsarmy wallet” put BlockGators Army and your Site usename in the memo. Your funds will be added to your account balance on the site. Everything is being done manually at this time. Other payment options may become available in the future. All members can make a payout request. You must manually request for your payment to be processed. Admin cannot be held liable if you put in the wrong payment wallet user id. You MUST have only 1 payment request at a time. Multiple requests will be returned to the member's account. Continuous multiple requests will be deemed as site donations and members will lose those amounts. Payouts through the wallet will be paid on an individual basis within 1 to 7 days. Members from all countries are welcome to join and be paid. As long as you can fully understand English, all countries can request payouts. We accept all types of advertisements except websites that contain any malicious material, frame-breakers, too many affiliates, adult material, cloaked urls or redirections. Any member submitting an ad for which the site is unsustainable will have the ad deleted. Credits will be returned to the member, just do not make this a habit. All ads have to be approved before going into rotation and approval is at Admin's discretion. If you put up an ad and receive a 382 error this means that the site that you are trying to use is banned from this site. --The website must not contain pornographic, racist, discriminating, vulgar, illegal, or other adult materials of any kind. -- The website must not contain any frame-breakers. -- The website must preferably be in English. Because we have members worldwide, other language ads will be allowed. Members are encouraged to use the Google.com translator. -- Although Admin speaks and reads and writes in more than 1 language, all correspondence with Admin will be in English only. -- The website must be sustainable. $1 to $100's or more per click on an ad is not a sustainable site. -- The website must not contain or promote any viruses, malware, etc. -- The website must not exceed the 1 pop-up/pop-under limit. -- The website's single pop-up/pop-under must not open any new windows. -- The website's single pop-up/pop-under must not break any of the above terms. -- The member must assign a minimum of 100 credits per ad submitted in order for the ad to be processed. Anything less and the ad will be deleted. If you violate these terms and your ad is deleted, you will receive no credits for this ad. If you violate these terms and your account is deleted, you will receive no refunds on purchases and no payouts! At this time you must only use your account balance on the website referring to BlockGatorsArmy.info to purchase something from us. In the event that the account balance payment processor is not working properly, please contact The Administrator/@blockgatorsarmy for instructions for placing your order. All payments are non-refundable. Payments made to BlockGatorsArmy.info are also confirmed through “the wallet”. If you send money to @blockgatorsarmy it will be added to your account manually. Please put BlockGators Army and your site username in the memo. We also suggest to use the same Steemit username (when possible) for verification purposes. We have the right to delete/ban your account for any of the reasons stated above without notice or warning. All deleted/banned accounts will be confiscated and set back to a 0 balance and the script will remove all existing ads. Any instance of negative communication with the admin or posting of issues not attempted to be resolved with admin will be deleted/banned. We own the right to alter these Terms of Service at any time and also hold the right to cancel our services at any time. We will not be held responsible for any user or advertiser. You are all responsible for yourselves. Disclaimer: This Program is not a MLM site or a Get Rich Scheme. This Program will not knowingly promote &/or advertise so-called Scam/Scheme sites. Email Requirements: YOU MUST USE A GMAIL/GOGGLEMAIL EMAIL ADDRESS ONLY! We cannot stress this enough. Most others consider our emails as spam for which they are not. An email address other than GMAIL/GOOGLEMAIL will be accepted for payment purposes ONLY. Your profile must still have your GMAIL/GOOGLEMAIL address in place. Members agree to receive emails from us when joining the site. You Must choose to activate the Admin Mailer in your account profile marked as 'YES'. Repeated attempts to turn off the Admin Mailer will subject your account to deletion. If you no longer wish to receive our emails, please go to your account and delete it. Admin will not delete your account for you. If you use an auto-responder, you will be suspended until you fix it. If your email bounces you will be suspended or deleted, depending on how many times it has happened and your willingness to fix it. This is decided at Admin's discretion. Spam: We do not believe in spam, and we are very strict on the handling of your information. WE WILL NEVER SEND YOU AN EMAIL!!! UNLESS YOU HAVE A MILLIONAIRE CLUB PRO MEMBER!!! You will receive information about updates, specials, contests and issues with the site and possibly some admin offer which may include special bonuses. You can see these updates in Discord. If you spam the ADMIN or other members you will be deleted from the site. Sending emails to admin that are threatening and contain profanity is cause for immediate deletion. Delete Your Membership: You always have the option to cancel your membership at any time; you must cancel yourself, the Admin will not. You can cancel your membership in your profile section under "Account". If you cancel your membership, you will lose any earnings, referrals, and ads. False Representation: We do not tolerate anyone who uses false information to get referrals. Privacy: Your information will never be rented sold or shared in any way with anyone unless deemed absolutely necessary by the Admin. We respect your privacy. Subject to change: This agreement can change. We have the right to change this agreement without any prior notice to our members. Please check these terms OFTEN.